It’s now December and that means we get Premier League fixtures during the week! Top of the league Chelsea face a struggling Tottenham Hotspurs in what is the game of the week. Manchester City travel to the Stadium of Light where Chelsea were held to a goalless draw on Saturday. Arsene Wenger’s Arsenal side face Southampton at the Emirates on Wednesday in what should be a terrific match and finally Manchester United host Stoke City as they look to win a fourth game on the spin. 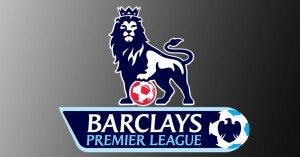 On Tuesday evening Swansea face Queens Park Rangers at the Liberty Stadium. Swansea have had a excellent start to the season, they are 8th in the table. On the other hand QPR are in the relegation zone however they’ve been playing some good football as of late and beat Leicester at the weekend 3-2. Charlie Austin is starting to score goals and picked up another goal on Saturday which is a huge boost for Harry Redknapp and his team. QPR are a better side than the Premier League table suggests in my opinion, they have some quality players including Leroy Fer who is starting to hit some form. As I’ve already mentioned, Swansea have started the season well however they have over achieved in my opinion. On the weekend they dropped two points against Crystal Palace in a match they should have won, Swansea have relied on Wilfried Bony for a lot of this season and if he fails to score today they may struggle. Queens Park Rangers price to get a result is generous in my opinion given that confidence will be high amongst the squad after a good win on Saturday. Neither Crystal Palace or Aston Villa are in the position they want to be in but both sides will be looking to turn things around at Selhurst Park on Tuesday. Crystal Palace have won just one of their last seven games and in my opinion they are relegation candidates under Neil Warnock who I don’t rate as a manager. They are conceding far too many goals, only QPR have conceded more. Paul Lambert’s side have had a tough run of fixtures recently but have performed relatively well in their last few matches, they got a point at Upton Park and at Villa Park against Southampton. On the weekend they drew 1-1 against Burnley and they should of won the match after dominating the game early on. Villa have been plagued with injuries this season however Christian Benteke is back for this encounter which is a huge boost and Ron Vlaar, Nathan Baker and Senderos are all expected to be back and fit. Villa are a far better side than Palace in my opinion, especially with a full strength squad, 2.8 draw no bet is a generous price in my opinion.